Our product Komorebi is a phygital branding solution that helps brands talk, listen, understand and care for their retail consumers. We provide consumers with an unparalleled in-store and post purchase brand experience, and businesses with abilities to reach consumers directly and collect analytics and insights. 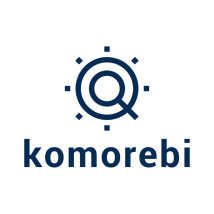 Free for consumers, Komorebi charges businesses with subscription and handling fees based on their business size. We are based in Vietnam and currently expanding to Israel with a platform that also supports global businesses.